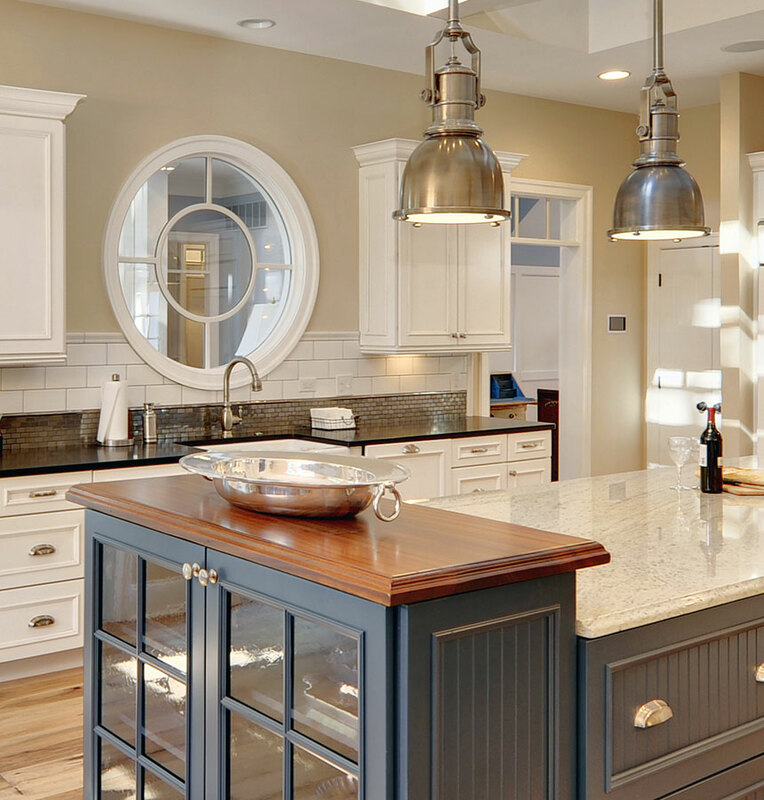 A popular design trend we have seen over time is wood countertops with blue cabinetry. The warm tones in wood countertops compliment the cooler tones in shades of blue. 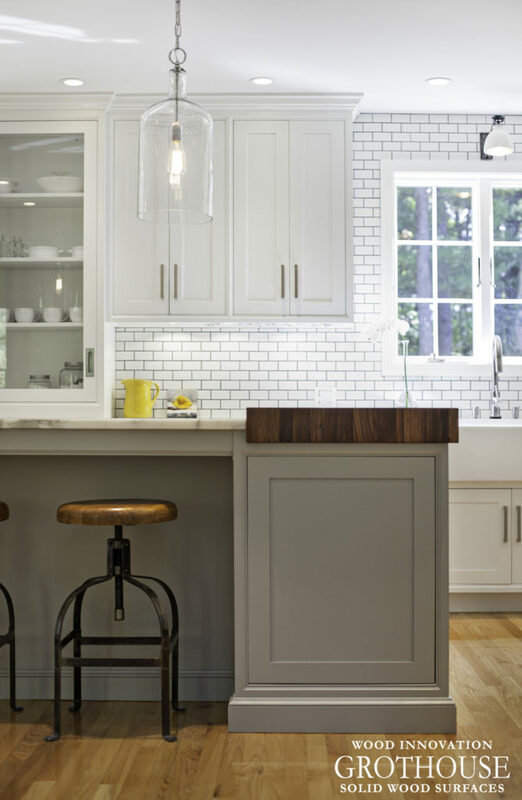 Art Davidson and Chris Ingram designed this Cherry wood butcher block countertop for this blue kitchen in Moorestown, New Jersey. The warm red tones in the butcher block countertop stand out and act as the focal point of the kitchen, along with the brick hood. 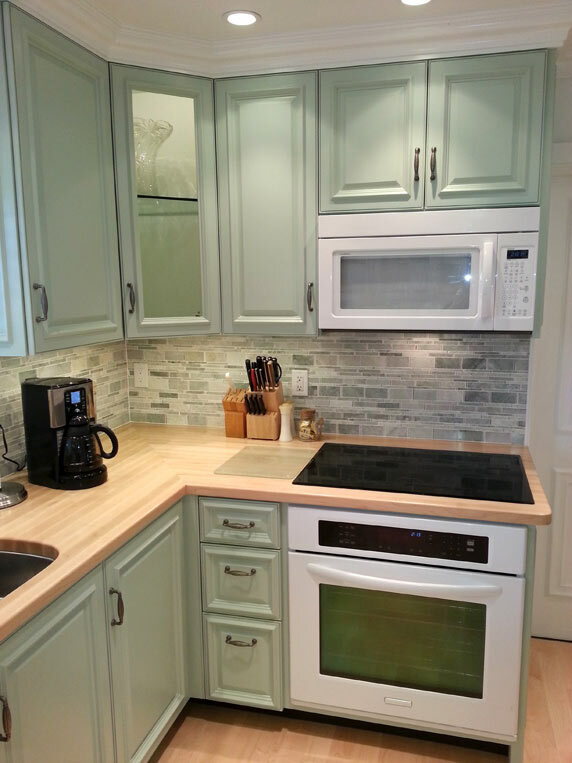 Griffey Remodeling designed these Maple wood countertops for these light blue cabinets in Columbus, Ohio. 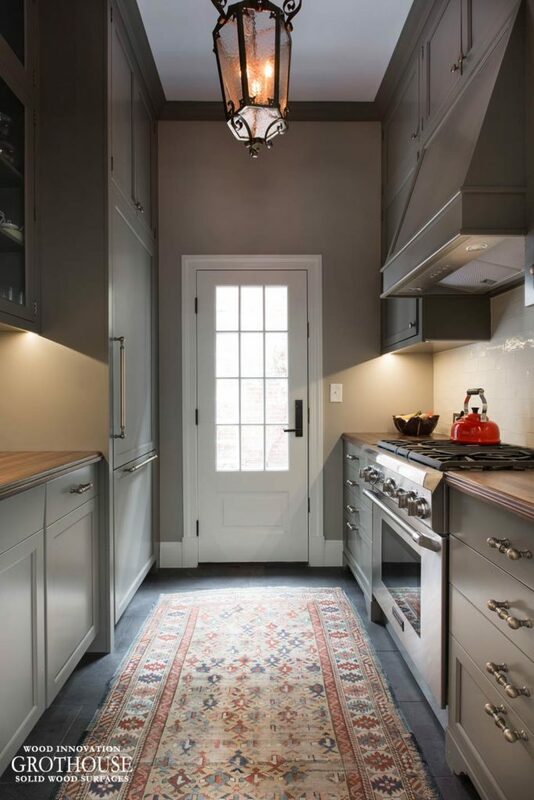 The eye is immediately drawn to this area of the kitchen because of the pop of the light colors. 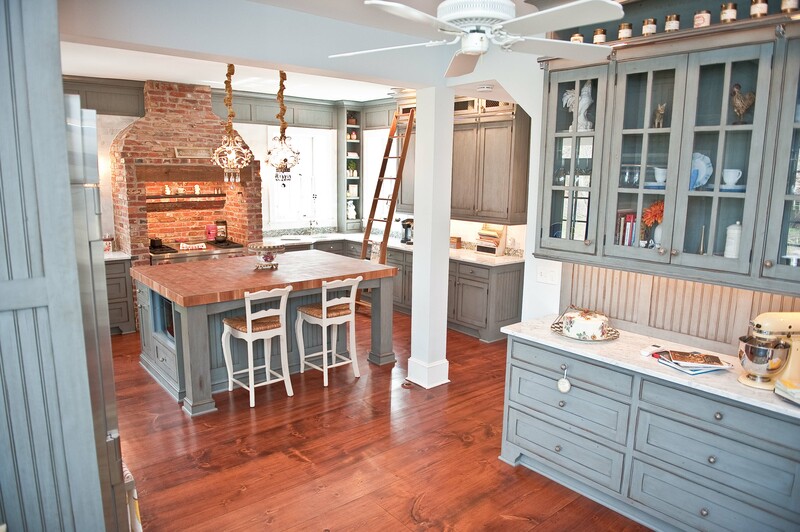 Echelon Custom Homes designed a Sapele Mahogany wood counter for this blue kitchen island end in Henelopen Acres, Delaware. 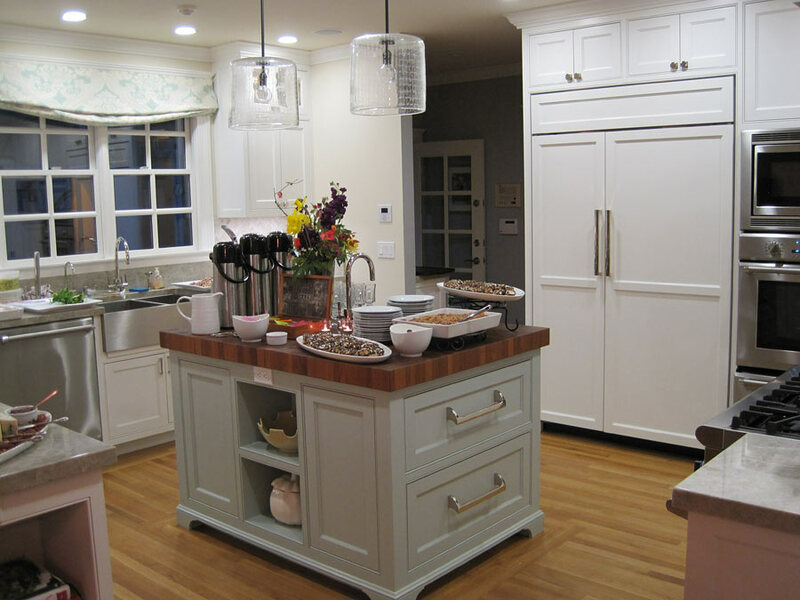 The soft blue color of the kitchen island is complimented by the darker, red color of the Sapele Mahogany. 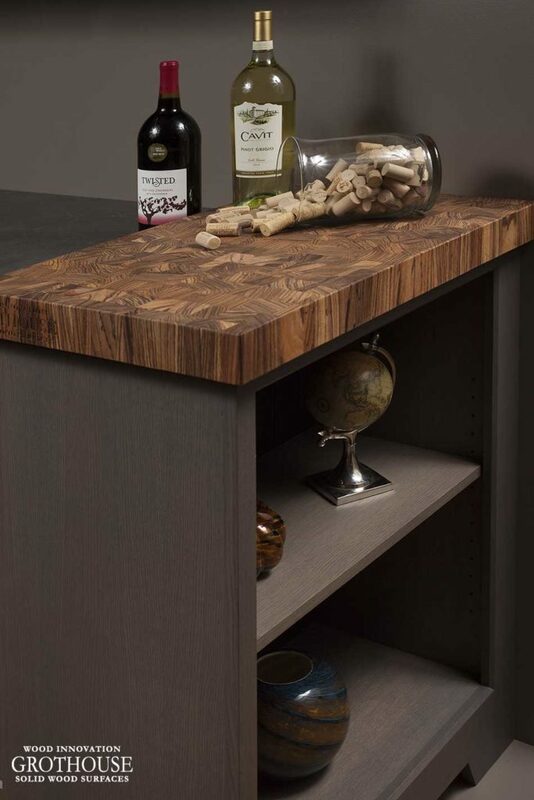 Jack Rosen Kitchens designed this Walnut 100% Heartwood countertop for this large blue kitchen island in Bethesda, Maryland. 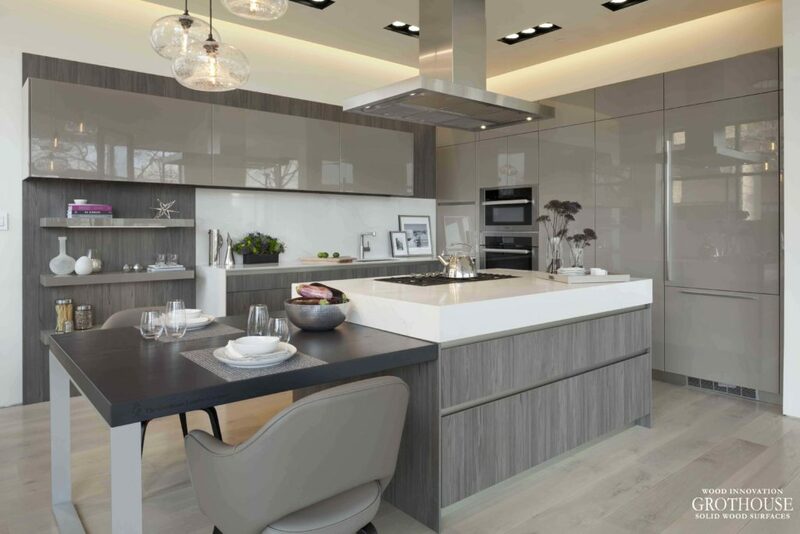 The soft appearance of the Walnut wood sits beautifully with the traditional cabinetry of the island, creating a natural focal point. 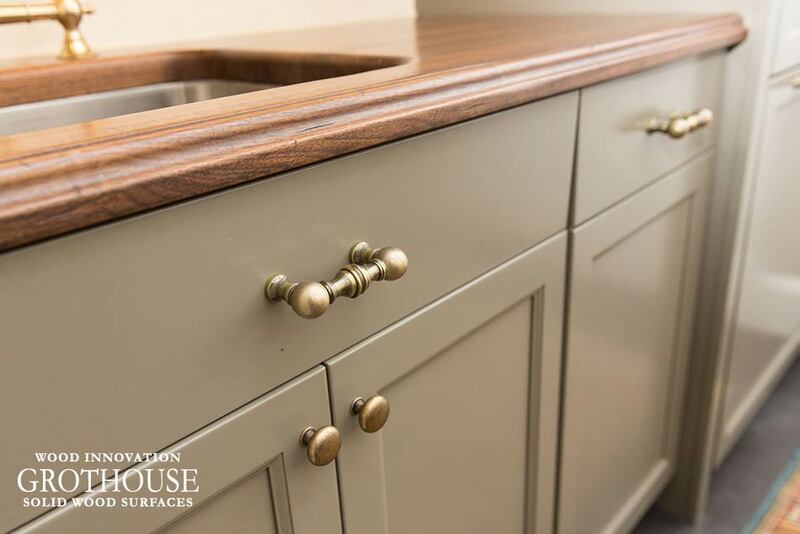 Design by House Captains, Inc.
House Captains, Inc. designed Maple wood countertops for their own personal kitchen with light blue cabinets in Boca Raton, Florida. 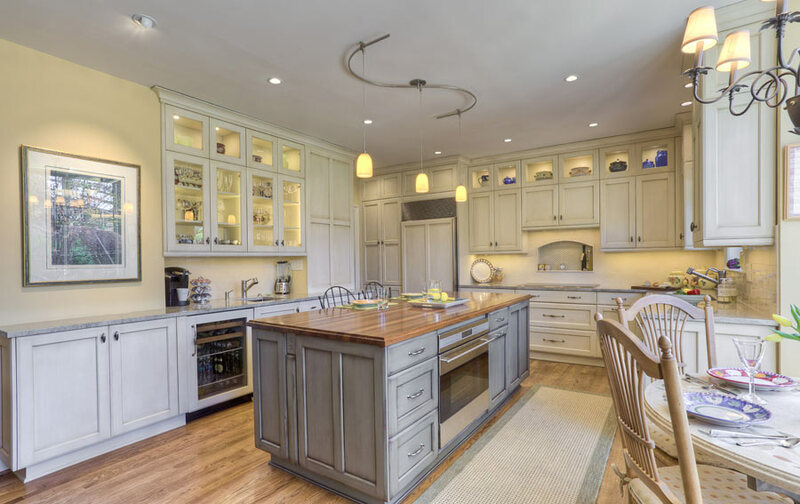 The light tones in the wood and the cabinetry sets the tone for a beach-like feel. Page & Pio Construction designed the Burmese Teak butcher block countertop for this large light blue kitchen island in Palo Alto, California. 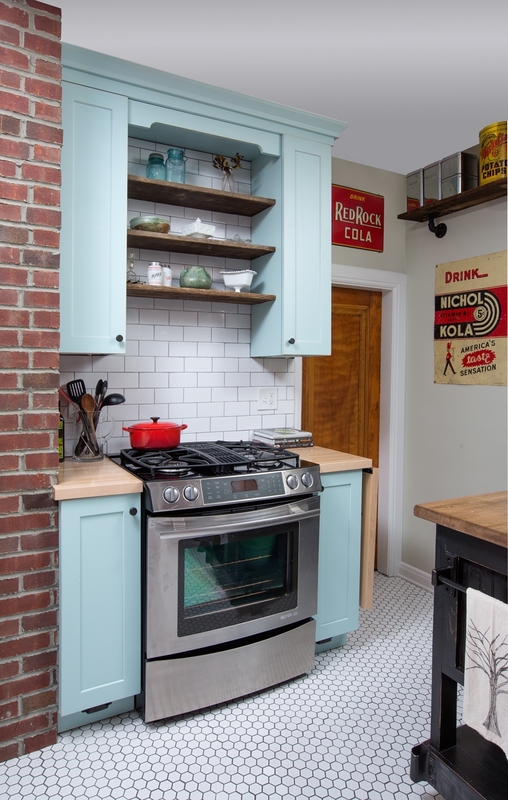 The light blue, although subtle, creates a great centerpiece of the kitchen. 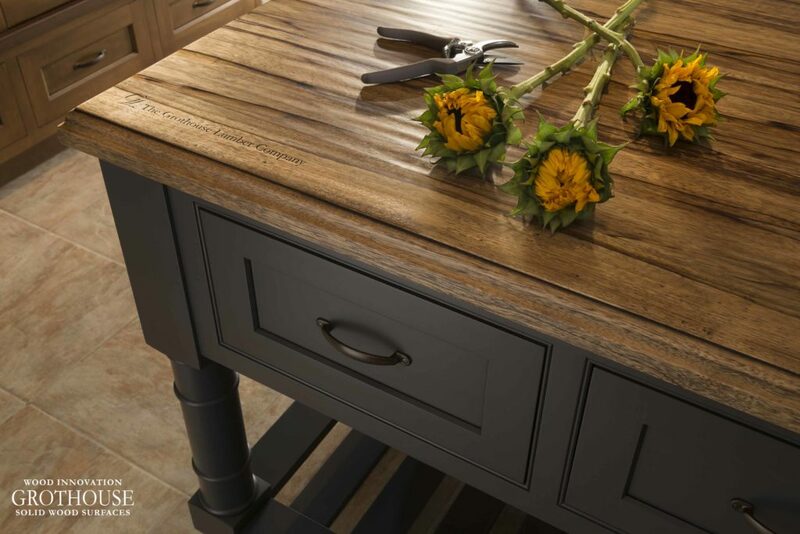 To see more designs of wood countertops and blue cabinetry, visit our Pinterest profile.